A day after a crane dropped a 23,000-pound air conditioner 30 stories onto a midtown sidewalk, one city official is charging that more could have been done to prevent the accident. New York City Comptroller Scott Stringer said nearly eight years after the city Department of Buildings spent more than $5 million on a study to make construction sites safer, the department has failed to implement many of the safety reforms recommended in the report. In an interview with the I-Team, Stringer said the Department of Buildings has had years to implement simple reforms like installing so-called “black boxes” in cranes and hanging better protective netting around construction sites. But those recommendations still have not been implemented. “Since we've issued our audit, nothing has changed nothing has happened," Stringer said of his 2014 audit. “I'm urging the Department of Buildings to dust off their own report and look at our audit and figure out are we doing enough to ensure safety of our citizens." 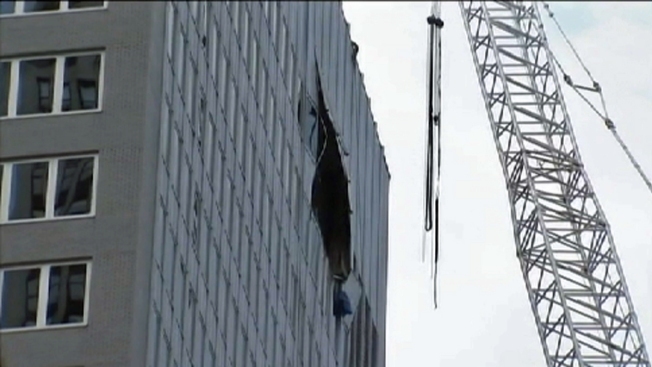 An air conditioning unit being hoisted by a crane fell onto a building in Midtown Manhattan late Sunday morning after the cable it was attached to snapped, authorities said. A spokesman for the Department of Buildings said there are some discrepancies between the comptroller’s findings and their own internal review of their progress. However they said they are "committed to continuing to work with his office to ensure that information that is most reflective of our progress implementing those recommendations is shared with New York City residents." Ten people were hurt Sunday when the crane on Madison Avenue between East 38th and East 39th Street dropped its load, striking the building as it fell to the ground. The crane operator, Skylift, had a proper permit for the job. But the I-Team learned that Skylift was responsible for a similar crane accident in 2010 at 80 Maiden Lane in Lower Manhattan. The company was hit by two serious OSHA violations in connection to that incident. The I-Team reached out to Skylift to ask about Sunday's accident but people at the office closed their doors on the I-Team and phone calls were not returned Monday. According to the city's own data, the crane operator and the crane company, Bay Crane, have a checkered violation history across all agencies. Since 2010, Skylift has received 24 environmental control board violations which amount to 35 thousand dollars in penalties. 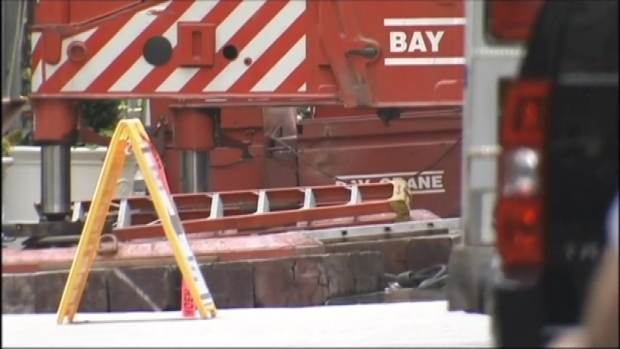 Bay Crane has been hit with 65 violations and charged more than $42,000 in penalties. 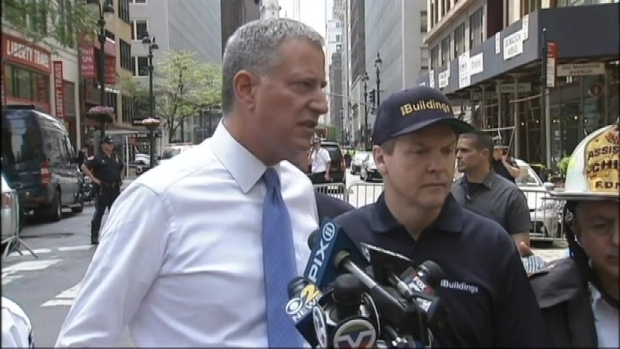 De Blasio: "Thank God... Not Too Many People Around"
Mayor Bill de Blasio speaks at a press conference after a crane accident in Midtown Manhattan. Bay Crane has not returned the I-Team's phone calls.